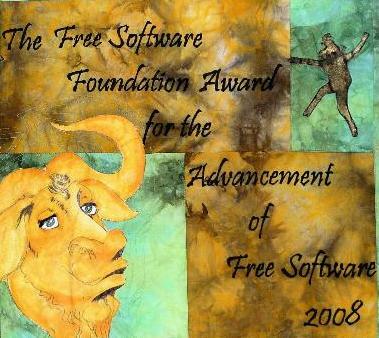 On March 20, 2009, Wietse Venema was awarded the 2008 Free Software Foundation Award for the Advancement of Free Software, at the Libre Planet 2009 conference in Cambridge, MA, USA. The award was handed over by Richard Stallman himself. 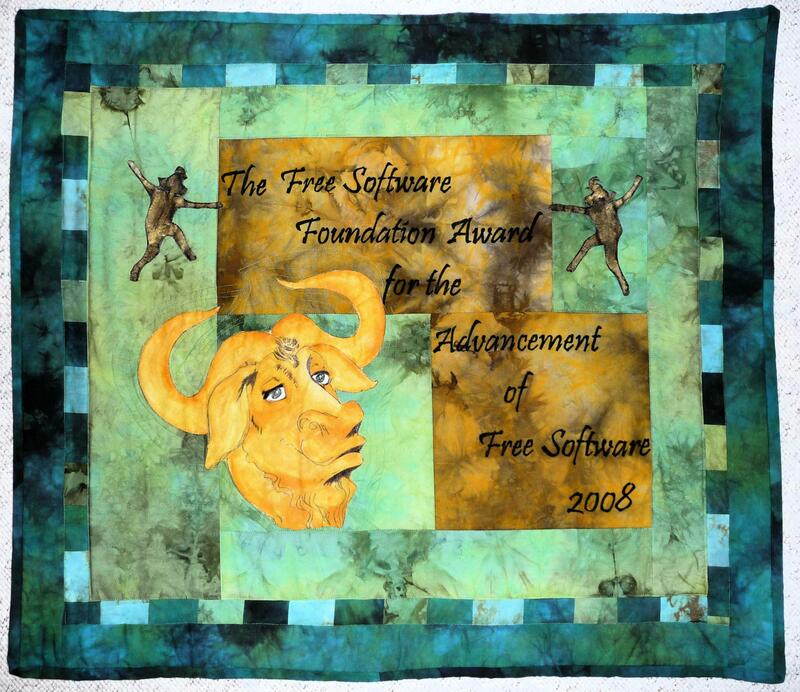 According to the FSF website, the Free Software Foundation sponsors the annual Award for the Advancement of Free Software, to recognize and honor those that have made a great contribution to the progress and development of free software (free as in freedom as defined in the Free Software Definition), through activities that accord with the spirit of software freedom. The award is a handmade quilt of approximately 82x72 centimeters (32.7x28.3 inch). The image on the right shows a detail with the dedication; click on the image to view the entire award.